Our archaeological 'splurge' continued in May with a tour of Crete going even further back in time to the Minoan Bronze Age. With much information from the lecturer we visited many sites, west and east. 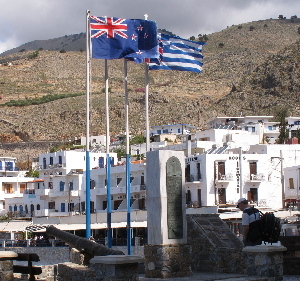 Crete is suffering from a fall off in the number of tourists due to the present financial crisis. 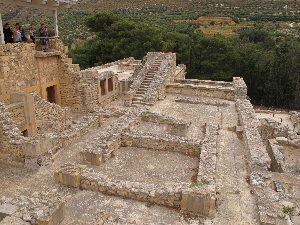 However they have to thank Harold Evans with his discovery and partial reconstruction of the Palace of Knossos to keep Crete on the tourist trail. 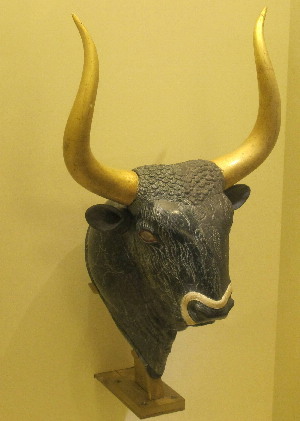 It was necessary to queue and have restricted time in the superb museum in Heraklion (being rebuilt) and there were large numbers of people at the Palace. Elsewhere we walked in the spectacular Sumerian gorge and swam in the Mediterranean.